With only five years under its belt, Mississippi State University’s (MSU’s) Sustainable Energy Research Center (SERC) has established itself as a key player in energy research. New associate directors, collaboration with the MSU Energy Institute, and commercialization of SERC-developed technology all speak to SERC’s integral place at MSU and in energy research nationwide. MSU has a tradition of respected research in biofuels, biomass, and feedstocks, and this strength prompted plans for an MSU research center in these areas. In 2005, Drs. Glenn Steele and Bill Batchelor sought funding for such a center intending to integrate MSU’s existing bioenergy strategic initiatives and develop a coordinated approach to biorenewable energy research at the university. In January 2006, through U.S. Department of Energy (DOE) funding, SERC was founded with Steele and Batchelor named as co-directors. Dr. Bill Batchelor, former co-director of SERC and head of the Department of Agricultural and Biological Engineering at MSU, is now dean of the College of Agriculture at Auburn University. Current director of SERC, Dr. Glenn Steele also directs the MSU Energy Institute. He has served formerly as head of MSU’s Department of Mechanical Engineering and is an MSU William L. Giles Distinguished Professor and the Bobby Shackouls Professor of Mechanical Engineering. In the first year alone, the 200+ SERC personnel produced 42 journal articles and 46 conference publications and received funding for 19 projects. These personnel were from a variety of units on campus, including 17 departments in the Division of Agriculture, Forestry and Veterinary Medicine; Bagley College of Engineering; College of Arts and Sciences; and College of Business. SERC also collaborated with 5 MSU research centers: Institute for Clean Energy Technology, Southeast CHP Application Center, Micro-CHP and Bio-Fuel Center, Forestry and Wildlife Research Center, and Life Science and Biotechnology Institute. 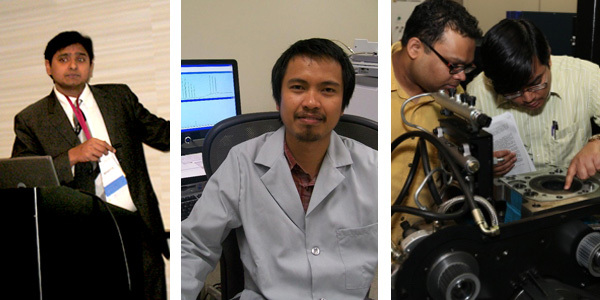 SERC’s early projects involved research in fuels, power, chemicals, and enabling technologies. Steele notes that initially SERC had a wide range of projects in a number of areas and many of these early projects are complete. This early work has enabled the center to narrow its focus to five primary areas—feedstocks, bio-oil, biocrude, syngas, and engine testing—and push much of its research toward commercialization. In these five areas, SERC has seven research thrusts: Biocrude, led by Dr. Rafael Hernandez; Bio-oil, led by Dr. Phil Steele; Feedstocks, led by Dr. Brian Baldwin; Microbial Oils, led by Dr. Todd French; Syngas to Liquid Hydrocarbons, led by Dr. Fei Yu; Biomass Utilization, led by Dr. Kalyan Srinivasan; and Economics, led by Dr. Keith Coble. Through these current research thrusts, SERC staffs 50 faculty members, 43 doctoral students, 7 post-doctoral scholars, 16 research associates, and 87 staff members. From 2007 to 2010, personnel published over 400 journal articles and conference papers, graduated 31 Ph.D. students, and received funding for 58 competitive projects. In 2008, SERC became one of the five units in the MSU Energy Institute, an umbrella organization that coordinates energy efforts at MSU. In 2010, SERC named two associate directors, Dr. Rafael Hernandez, Associate Professor in the Dave C. Swalm School of Chemical Engineering, and Dr. Rubin Shmulsky, Professor and Head of the Department of Forest Products. In late 2010, SERC broke ground on its state-of-the-art, 7,000-square-foot pilot-scale facility located at the MSU Research Park. This facility will house pilot-scale technology for bio-oil and biocrude production. In addition to performing research for MSU, interested industry partners will also be able to test their products utilizing SERC’s equipment and expertise. In addition to the pilot-scale facility, SERC has commercialized several technologies. The center has licensed feedstock technology, giant miscanthus to Reprieve Renewables and switchgrass to Conservation Seeds, and bio-oil technology to Piedmont BioProducts and Chemical Products. In addition to these companies, SERC has a number of industry collaborators, including several DOE laboratories and government agencies, International Paper, Wayne Farms, Southern Company, and General Atomics. SERC has accomplished quite a lot since its 2006 founding, and the growth over the past five years demonstrates its capabilities to continue to grow. With so many products and technologies at the pilot scale and licensed to industry partners, SERC has established itself as an integral part of Mississippi State University and an important center for sustainable energy research throughout the nation. Mississippi State University has licensed auger pyrolysis reactor technology developed under SERC funding to Piedmont BioProducts (PBP). Founded in 2007 by current CEO Ken Moss, PBP is a biofuel-technology company based in Gretna, Virginia. Committed to using biotechnology to benefit the U.S., PBP believes biofuels can boost the economy by creating jobs and giving money back to local communities, help protect the environment by creating fuels using a carbon-neutral process, and decrease U.S. dependence on foreign oil by encouraging farmers and business owners to grow and refine feedstocks at home. SERC’s Bio-oil thrust leader Dr. Phil Steele was developing fuels and bio-oil products prior to SERC’s inception in 2006; however, funding from SERC enabled his small-scale lab work to include scientists from across the university and allowed the technology to advance from lab scale to engineering scale and now to pilot scale and commercialization. Steele’s research group initially developed the SERC auger reactor to produce bio-oil as a feedstock that could be upgraded to biofuels. However, the reactor itself became an item of interest to companies seeking to commercialize bio-oil products because of its high yield, moderate cost, and dependable operation. Bio-oil can be produced by several types of pyrolysis reactors. Steele’s auger reactor feeds the biomass feedstock to be pyrolyzed (thermally decomposed in the absence of air) into the reactor by an auger. The biomass is heated to approximately 500°C when passed down the auger tube and vapors are driven off the biomass and condensed very rapidly. Under the direction of Steele, SERC-funded, Department of Forest Products engineer Brian Mitchell has designed the largest successfully operating auger reactor in the world. This prototype, licensed to PBP in late 2010, is capable of processing 10 tons per day of biomass for bio-oil production. However, the company plans to sell the reactors at a much larger scale of 50 tons per day by 2012. Using Mitchell’s design, PBP engineer Joe Darnell will build these larger-scale reactors. PBP selected SERC’s auger reactor design because of its high yield of bio-oil at 65%, which is expected to increase even further with the larger-scale reactors. SERC’s design also produces about 20% char, which is combusted to pyrolyze the biomass, nearly eliminating the need for external energy sources. The char is 75% carbon, giving it the energy density of coal. In addition, about half of the 10% exit gas produced is combustible and can be utilized as pyrolysis heat or for drying the biomass before processing. Overall, the SERC design is highly sustainable and efficient. Currently, SERC’s laboratory-scale auger reactor can process 300 pounds of biomass per day to produce 20 gallons of bio-oil per day. This bio-oil is used in upgrading experiments to produce boiler and transportation fuels. Mitchell is currently fabricating a 4-ton-per-day auger reactor, which will be housed at the pilot-scale facility under construction at the MSU Energy Institute. The increased production capabilities will satisfy the need to produce large quantities of bio-oil and upgrade fuels from bio-oil to allow large-scale boiler and engine testing. The boiler fuel will be produced in a 100-gallon, continuously stirred reactor, and the transportation fuel hydrocarbons will be produced with a hydrotreater similar to that used at petroleum refineries to produce hydrocarbons from petroleum crude oil. A variety of feedstocks, including pine chips, switchgrass, giant miscanthus, sorghum, corn stover, energy cane, and even logging-harvest residue, can be converted to bio-oil by the MSU auger reactors. Steele’s team has determined that southern pine and giant miscanthus have marginally higher yields and energy densities compared to other tested feedstocks. However, yields of other feedstocks are less than 5% lower than the pine and miscanthus, making all tested timber and agricultural feedstocks viable for production of fuels through pyrolysis. In addition to the auger reactor, early this year, PBP also licensed lignocellulosic boiler fuel (LBF) developed with SERC funding. This fuel can be utilized to heat commercial structures with slightly modified boilers. SERC’s vision for the auger reactor technology directly matches that of PBP: to design a small-to-medium reactor capable of producing 50 to 250 tons per day, enabling small-to-medium entrepreneurs to invest in and locate technology in their rural home areas. Investments by entrepreneurs in rural regions will create rural jobs, and developing a market for small-diameter timber and agricultural residues will increase revenues for Mississippi timberland and farm owners. For more information about Piedmont BioProducts, please visit the company Web site. For more information about the reactor design, please contact Dr. Phil Steele. Year of graduation and institution for the Ph.D. Please tell us about your work prior to becoming an associate director of SERC. Prior to joining SERC and currently, I am a professor and department head of the Department of Forest Products. As department head, I lead faculty researchers who actively contribute to the SERC mission. Please discuss your area of specialty. I specialize in drying of wood and biomass. Generally, as wood and other types of biomass grow, they contain a significant amount of water. Often more water than actual biomass, by weight. To utilize biomass, usually this water needs to be removed. Removal by heat is energy intensive and costly. My research has focused on ways and means of removing water quickly, efficiently, and with the least amount of energy. Please tell us about some of the courses you have taught and/or developed at MSU. I have taught several courses at MSU. 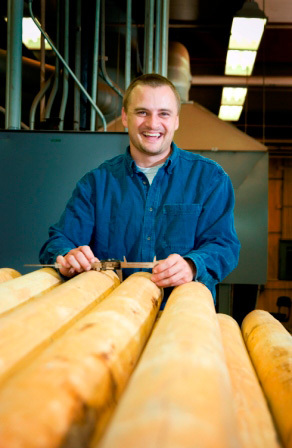 These include Lumber Manufacturing, Furniture Production, Physical Properties of Wood, and the introductory course Introduction to Wood Products and Technology. Due to my increased administrative responsibilities, I rarely teach these courses anymore. Rather, these have been reassigned to other departmental faculty. This semester I am teaching a graduate seminar that is particularly geared toward networking among international graduate students. Also, I am a coauthor of the textbook Forest Products and Wood Science: An Introduction. This textbook is used for our MSU wood technology introductory course and similar courses that are taught throughout the country and world. What research projects are you involved in at MSU? I am the primary contact for the federally funded Wood Utilization Research special research grant. 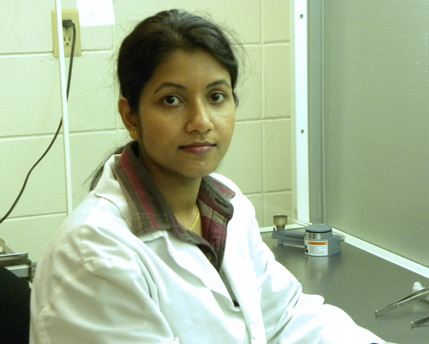 With this grant, MSU is recognized as one of 12 centers of excellence, nationwide, regarding wood-based research. In this role, I work with two colleagues from two other states in coordinating the major activities of the national program. Additionally, I actively work with our departmental faculty on projects related to timber conversion, development of high-strength composites, and utilization of under-used timber species. Please tell us about any recent or upcoming conferences and/or publications in which you will discuss your research or SERC. On May 10-11, I will attend the 10th Annual Southern BioProducts and Renewable Energy Conference in Biloxi, MS. There I will provide information on behalf of SERC. Please discuss your upcoming research project(s) and/or upcoming plans for SERC. I will continue to help the director maximize efficiencies in the SERC structure, reorganize as appropriate, and provide leadership as necessary. I will also work with federal, state, and private organizations to help commercialize MSU technology. The castor plant thrives in Mississippi and produces great quantities of valuable oil in its seeds, but it has a reputation that a team of researchers at Mississippi State University are trying to address. Today, castor oil still has many desirable properties. The thick oil makes up 60 percent of the seed's weight. For comparison, high oil corn or canola only produce about 25 percent oil by weight. Ninety percent of the oil is ricinoleic acid, a fatty acid found in large quantities only in castor oil. The acid has many industrial applications. Brian Baldwin, a Mississippi Agricultural and Forestry Experiment station researcher in MSU's Department of Plant and Soil Sciences, said castor can be used as a biodiesel but is more important as an organic raw material for industrial chemical processes. Because of Mississippi's climate, the crop could be grown very successfully in the state. "Castor seed yields in Mississippi can exceed one ton per acre," Baldwin said. "That seed can produce 1,000 pounds of oil per acre, which is a much higher rate than other high oil-content seeds produce." Daniel Barnes, a doctoral student in MSU's Department of Biochemistry and Molecular Biology, is trying to make it possible to grow the plant safely for commercial oil production in Mississippi. Castor seed meal, not the oil, contains ricin, a toxic protein that can become fatal if untreated in the body. "Castor is the only place we can get commercial quantities of ricinoleic acid, but because of the presence of ricin, we are not producing castor in the United States," Barnes said. "We want to get rid of the ability of the plant to make the toxin altogether." "We import every bit of castor oil and caster seed, mainly from India and China," Barnes said. Once imported, the oil often must be refined and filtered yet again to meet Western industry's quality standards. "This is an expensive two-part process. We are importing a product that could be grown here, and then we have to re-refine it," Barnes said. "Everything from cotton to corn and soybeans has been genetically modified, but castor is much more difficult. The castor cells can be transformed, but then you can't get whole plants to grow from the cells," Barnes said. Compounding the problem is that castor is the only species in its genus, so there is no other plant like it. Poinsettia, spurge and rubber trees are among castor's closest biological relatives, and these and other somewhat closely related plants are being examined to see if they contain genetic code useful to the castor research. "We're starting from scratch," Barnes said. "That's what makes it a wonderful question for research." Barnes has been working on ricin in castor for four years. He earned his master's degree from MSU examining ways to reduce workers' exposure to ricin in the production process. Now he is trying to actually remove this toxic protein. The project is being conducted by faculty in MSU's departments of biochemistry, plant and soil sciences and biological sciences. Others involved in the interdisciplinary team are Ken Willeford in biochemistry, and Donna Gordon and Nancy Reichert, both in biological sciences. Funding is through MSU's Sustainable Energy Research Center and the Office of Technology Commercialization. Reprinted with permission from MSU's Office of Agricultural Communications. Originally published 7.15.2010 on MSUcares.com. Emmanuel Revellame received the 2011 Industrial Oil Products (IOP) Division Student Excellence Award. This award provided Revallame travel assistance to attend the American Oil Chemists’ Society (AOCS) Annual Meeting & Expo to be held in Cincinnati, OH, on May 1-4, 2011. Revellame delivered his presentation, titled “Lipid Storage Compounds in Raw and Enhanced Activated Sludges,” at the May 2, afternoon session Biobased Lubricants, Plasticizers, and Value Added Products. For more information about the conference, please visit the conference homepage. Dr. Sanjeev Gajjela, assistant professor in the MSU Department of Forest Products, has been national recognized for his work on the production of biofuels from giant miscanthus. Gajjella delivered a presentation title “Production of Biofuels from Giant Miscanthus” at the American Institute for Chemical Engineers (AIChE) Spring Meeting and 7th Global Congress on Process Safety, held in Chicago, IL, on March 13-17, 2011. In response to his presentation, AIChE has recognized Gajjela’s work in the online publication the Reactor, a part of ChEnected, AIChE’s online community for chemical engineers. Read the full article here. 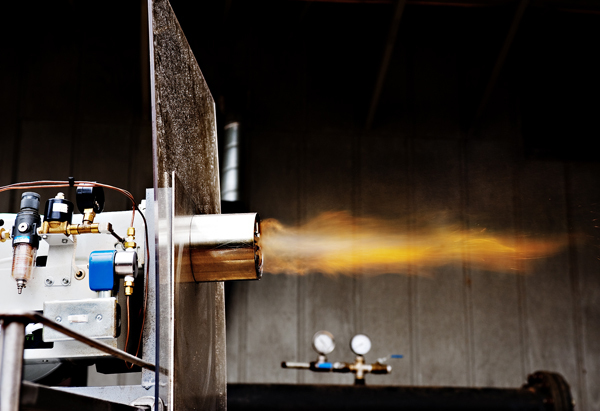 Ignited Natural Gas Engines" published in the Proceedings of the Institution of Mechanical Engineers, Part D: Journal of Automobile Engineering. Krishnan and Srinivasan's paper will be highlighted on the journal's Web site and its facebook page later this month. The journal will also feature Krishnan and Srinivasan's paper in an upcoming press release about the award. The full-text article is available to the public here. Please discuss your area(s) of specialty. 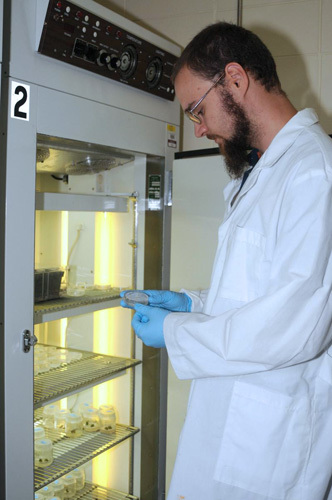 One of my specialty areas is using plant tissue culture in crop improvement. This involves creating genetic variability to improve the state of health of the plant and to increase the number of desirable germplasms available to the breeder. Further, I’m interested in combining plant tissue culture with genetic engineering and breeding in developing varieties resistant to biotic and abiotic stresses with higher productivity. The knowledge of developing transgenic plants gained during my master’s work at MSU will be very helpful in my future research interests. Please tell us about your thesis or dissertation project. My dissertation project is somatic culture and induced mutations of giant Miscanthus (Miscanthus x giganteus; Mxg). Mxg is a superior bioenergy crop with the potential to produce fuel from cellulosic biomass. Crop improvement is essential since lignocellulosic ethanol production is not economically competitive. However, Mxg is seed sterile, so normal breeding methods aren’t possible. Considering development of novel Mxg mutants for effective and efficient ethanol production, mutations in cell wall structure and composition would be highly beneficial since biomass quality and conversion efficiency is heavily influenced by cell wall composition (lignin, cellulose, hemicelluloses) and the way they are cross-linked. Potential novel mutants of Mxg with improved characteristics may result in greater biomass yield, biomass quality, and biomass conversion efficiency. Here I’m trying to enhance gene mutations in Mxg without associated major chromosomal disruptions, which is expected to produce phenotypically varied individuals some of which may have superior traits for greater lignocellulosic ethanol yield. It will reduce U.S. reliance on foreign energy sources while producing more bioenergy and reducing environmental pollution. The U.S. Department of Energy (US DOE) will be highly benefited from this research since the U.S.’s target of replacing petroleum fuel with bioenergy sources would be achievable. What additional research projects are you involved in at MSU? I have several research projects involving Mxg primarily funded by SERC through US DOE and some other sources. In addition to developing a successful in vitro reproduction protocol for Mxg and to introduce mutations for in vitro grown Mxg, I’m working on developing a heat tolerant Mxg variety and developing a herbicide (OUSTTM) resistant Mxg variety. Which of these research projects are you involved in with SERC? and introducing mutations for in vitro grown Mxg. Please tell us about any recent or upcoming conferences and/or publications in which you discuss this SERC research. I will present my initial work with Mxg at the In Vitro Biology Meeting, which will be held in Raleigh, NC in June 2011. Currently I have a manuscript in progress about somatic culture of Mxg and the targeted journal is Plant Cell, Tissue and Organ Culture. Please discuss your upcoming research project(s). My upcoming research projects involve screening novel mutants of Mxg for desired phenotypic traits favorable for high biomass quantity, quality, and conversion efficiency. This will involve comparing plant growth parameters (plant height, stalk diameter, and number of leaves per stand), plant morphological traits (stem color, midrib color, and rhizome color), phenology (onset and cessation of growth), and mineral content of the ash between mutated plants and control plants. Further, it will involve estimation of biomass yields, ethanol yields based on caloric value, and analysis of cell wall structure and composition.